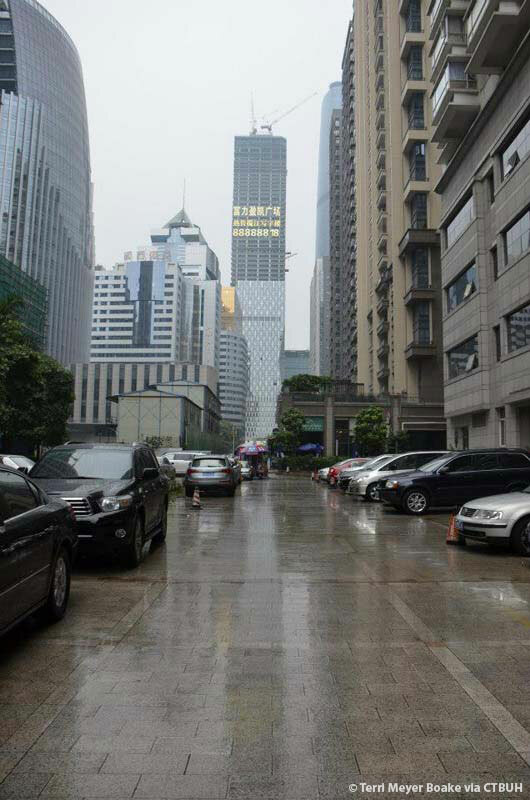 Owner/Developer	 Guangzhou R&F Properties Co., Ltd.
• Design Guangzhou R&F Properties Co., Ltd.
Main Contractor Guangzhou R&F Properties Co., Ltd. 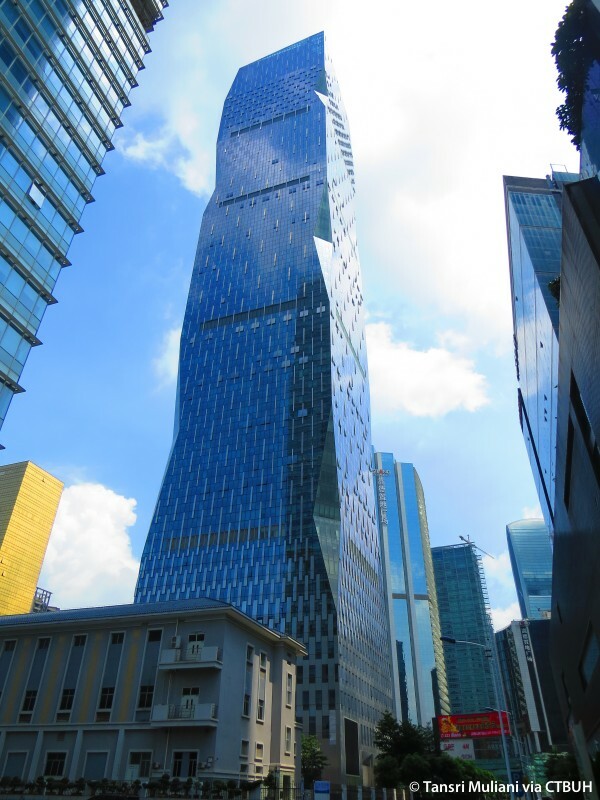 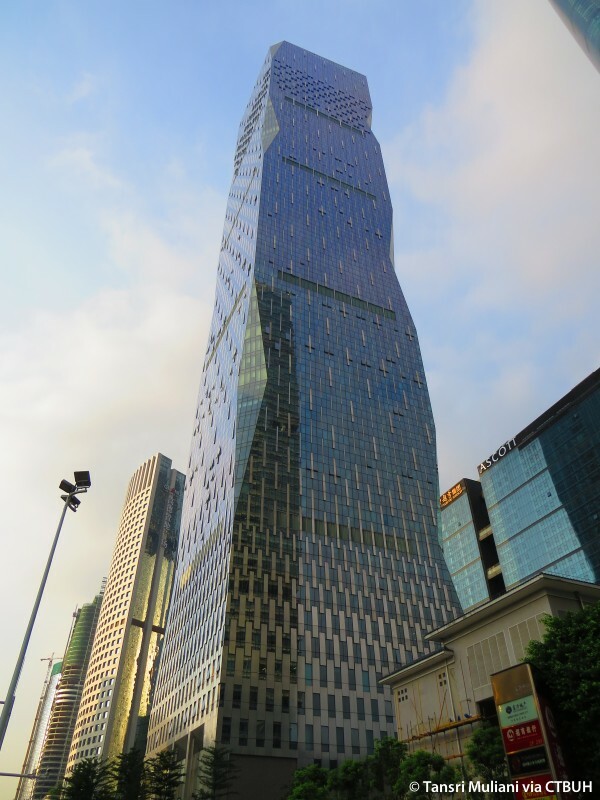 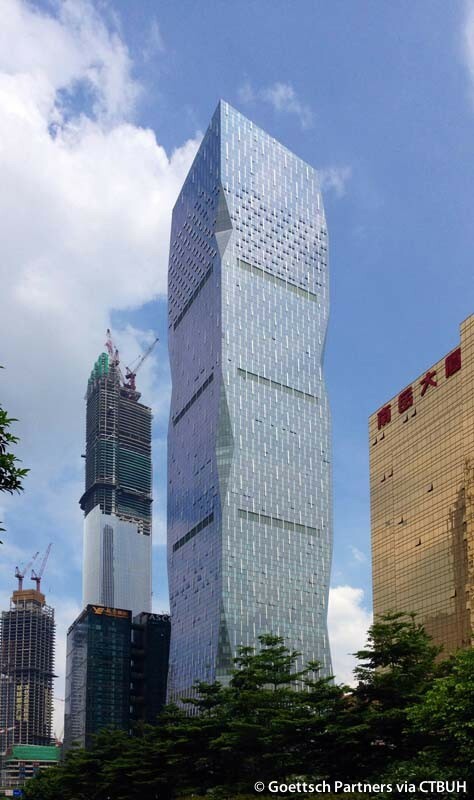 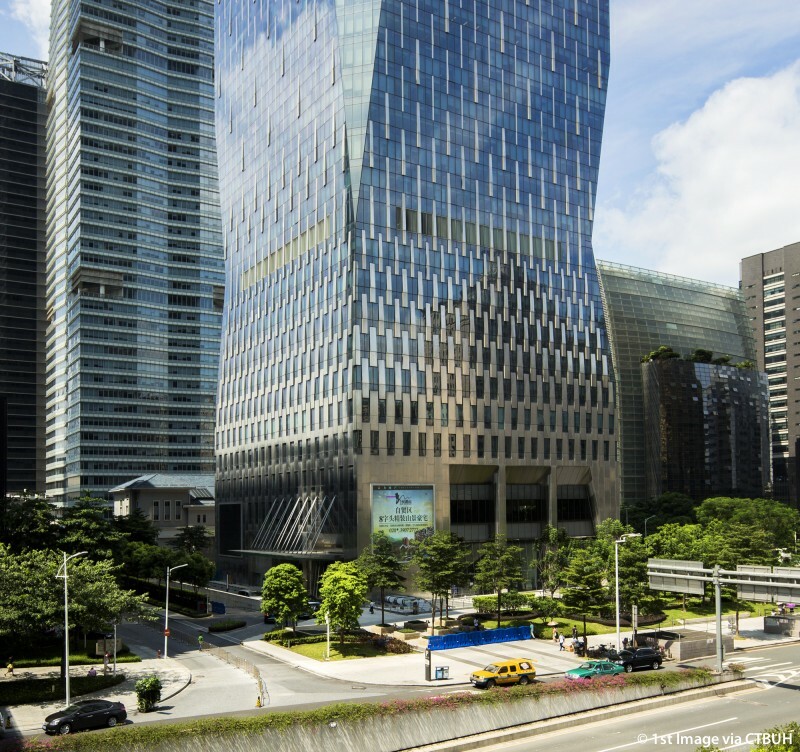 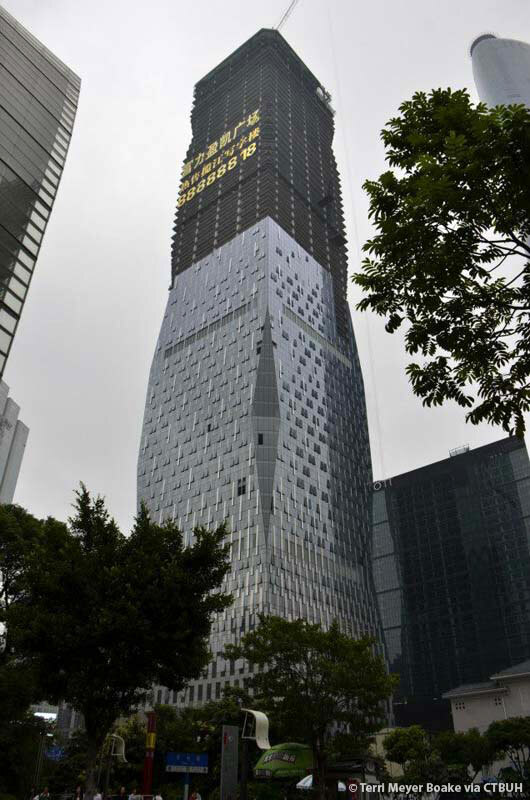 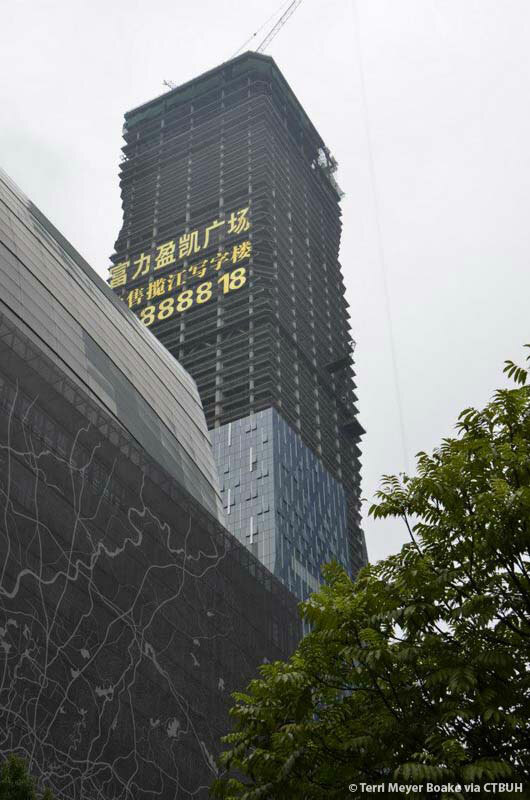 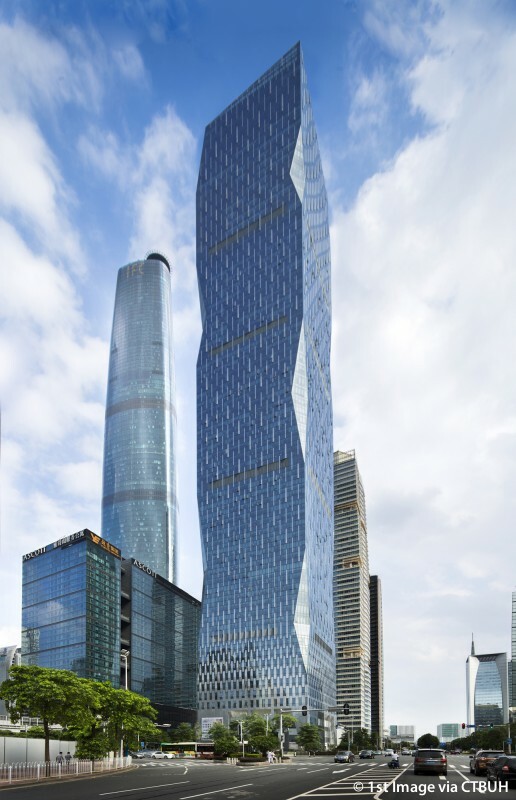 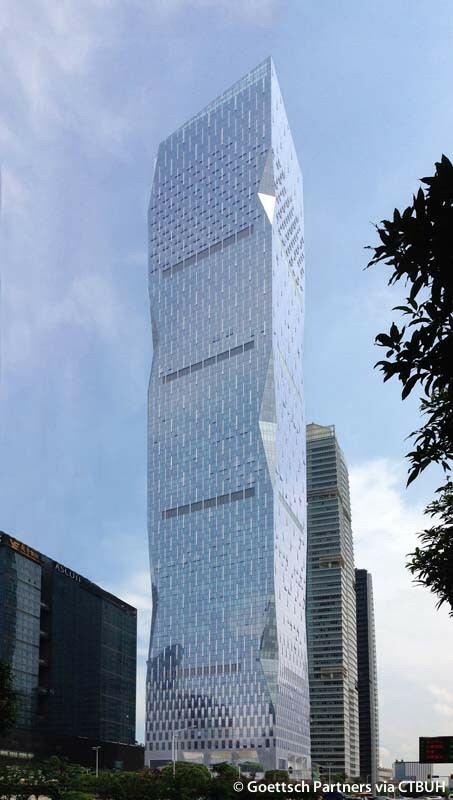 Located in Guangzhou’s new main central business district, R&F Yingkai Square stands within the city’s tallest cluster of towers. 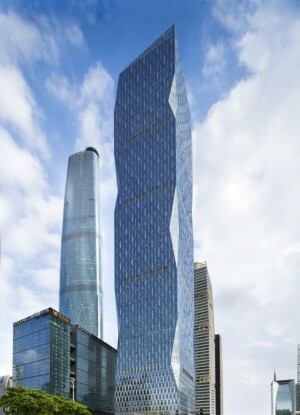 The rectilinear footprint of the tower aligns with the adjacent street grid and defines the open spaces between it and the neighboring buildings as a collection of urban rooms leading to a large central green space covering the roof of large subterranean mall at the center of the district. 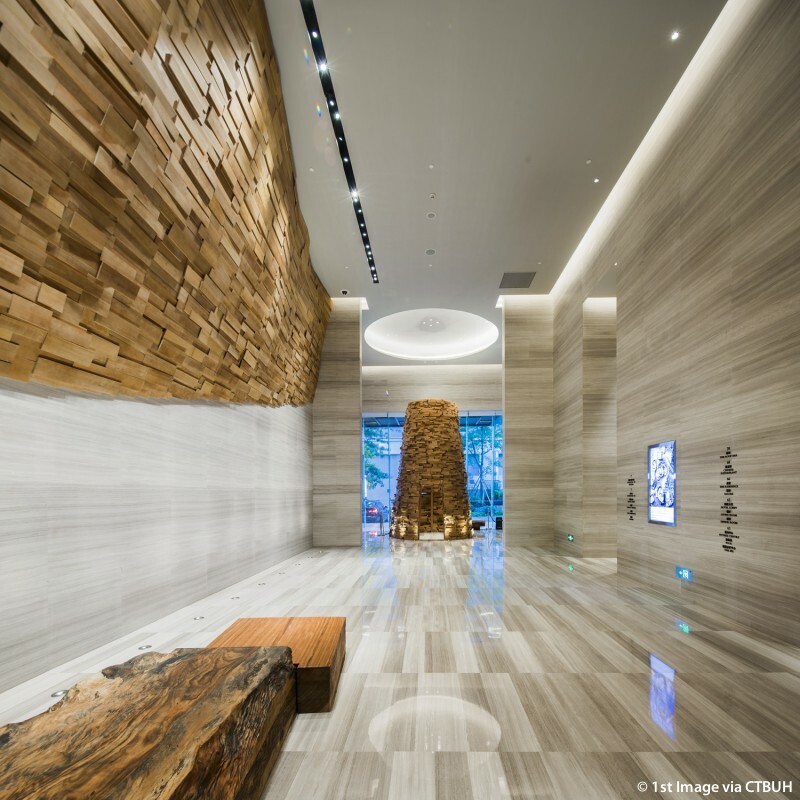 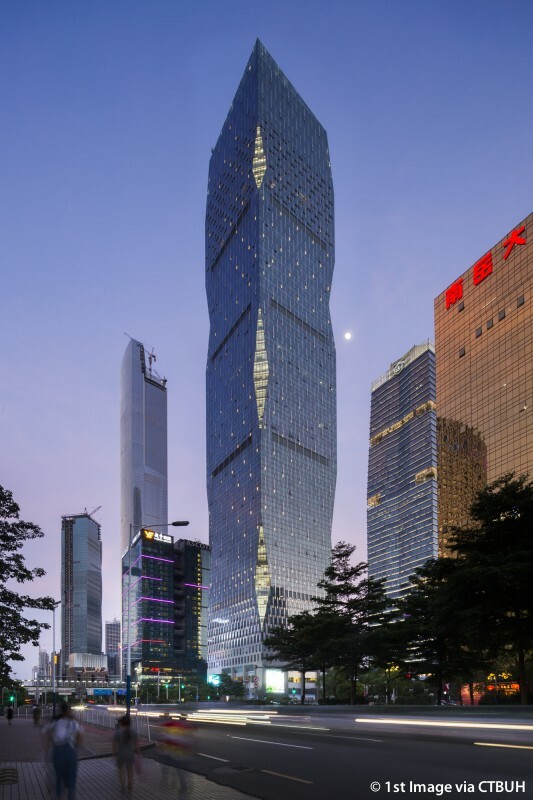 The design of R&F Yingkai Square was inspired by the segmentation of Chinese bamboo, with notched corners at alternating heights creating a zigzag pattern over the height of the tower and adding complexity to an otherwise simple form. 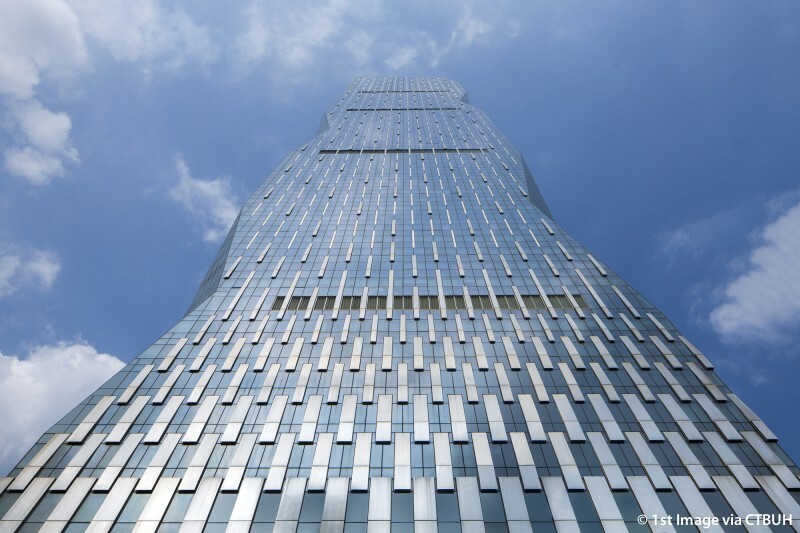 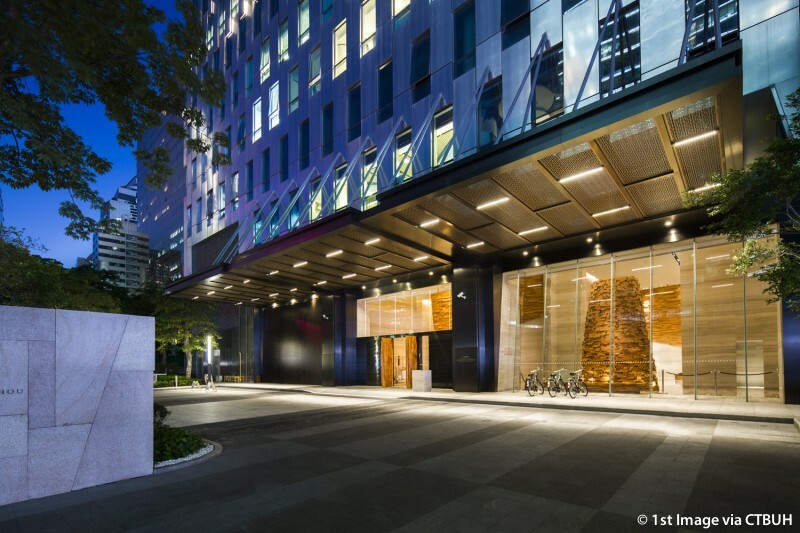 The tower has a highly textured façade featuring a pattern of stainless steel and glass which begins with a metallic base and transitions into a predominately glass exterior. 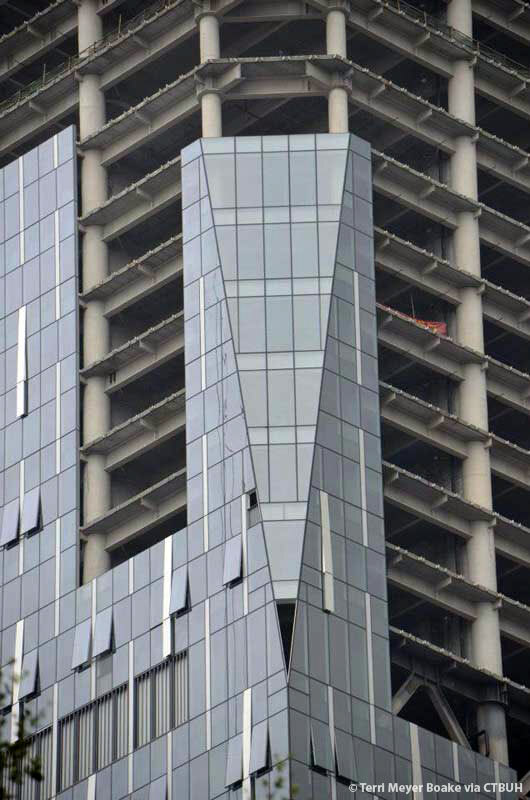 Further enhancing the visual segmentation of the tower’s façade are the visible grates of the mechanical floors, creating a external expression of the five components of the tower’s functions as it rises from the ground. 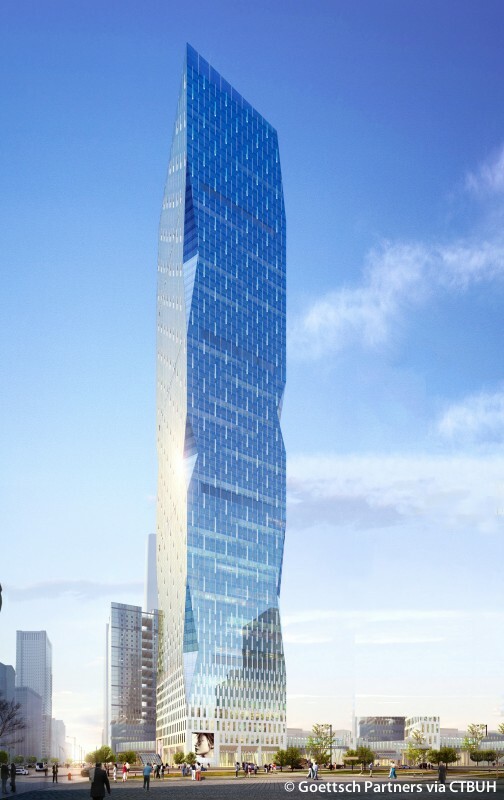 These individual sections are comprised of retail, office and hotel spaces as well as residential apartments and duplex condominiums at the very top. 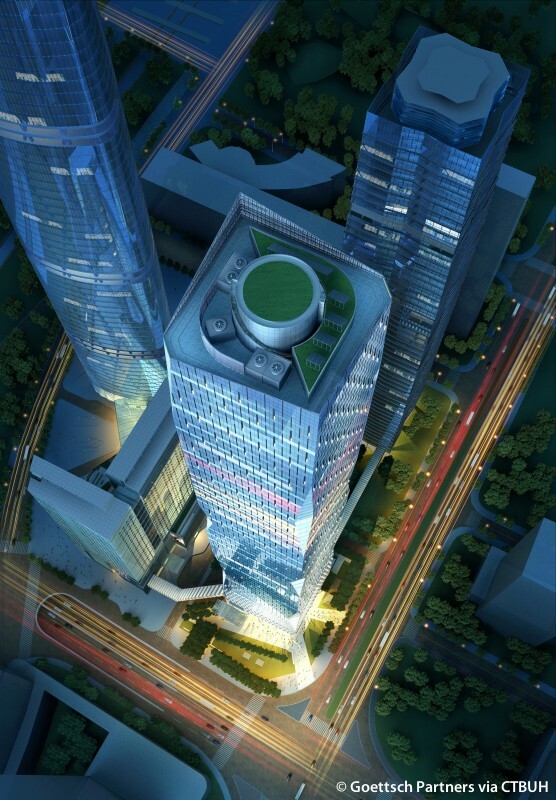 The base of R&F Yingkai Square setback from the adjacent streets with a landscaped plaza garnished with rows of trees, responding to the context of two intersecting arterial roads, placing the tower in a highly visible location and positioning it as a gateway building to the larger business district.